Allevate Limited and Tygart Technology, Inc. today announced that, in a progressive move toward enhancing and protecting public safety, Azerbaijan authorities commissioned and deployed a powerful video and photo analysis platform incorporating face recognition during the inaugural European Olympic Committee’s Baku 2015 First European Games. Attended by 6,00o athletes from over 50 countries with over 600,000 tickets sold, the MXSERVER solution provided both Border and Customs and full stadium surveillance throughout the 16-day event. Additionally, should a breach of public safety have occurred, MXSERVER’s powerful forensic analysis platform was on hand to dramatically improve the efficiency of any post-incident investigation. 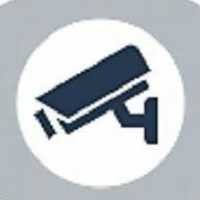 MXSERVER is a cloud-architected face recognition system that processes vast quantities of video and photo collections extracted from police body cameras, online sources, surveillance systems, confiscated hardware and, increasingly, “crowd-sourced” from the public. Visit us at https://allevate.com, email us at contact@allevate.com, call us on +44 20 3239 6399. For more information, visit http://www.tygart.com or call +1 304 363 6855.